When I can, at least when the weather is good and the season such that it is not pitch black outside, I love to go for an early-morning walk around the country block near the village where I live. Most of this walk is on gravel roads, and my eye has often been caught by a particular stone as I go along. I have mused about the lessons to be learned from stones before. It is usually the colour of the stone that draws my attention; perhaps a particular shade of red or blue. Occasionally I have even bent down and picked up the stone, dusted if off and put it in my pocket. 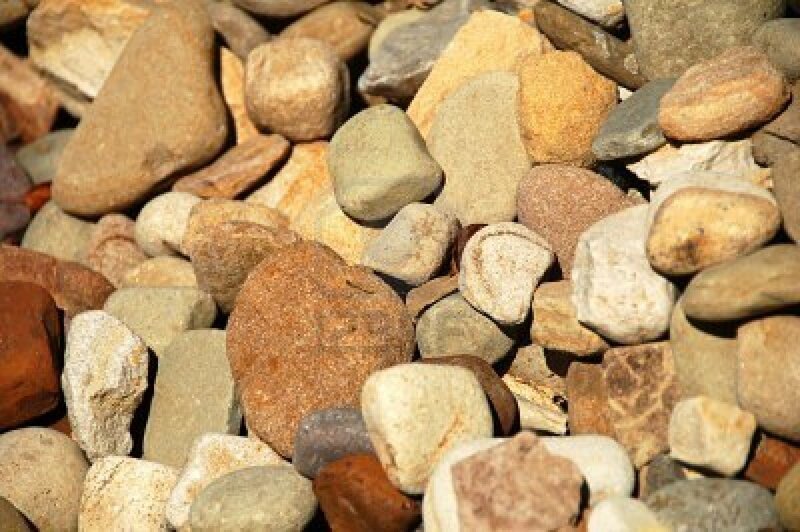 The disappointing thing, however, is that when I get it home, these stones often appear just to be rather ordinary, and not unique or special at all! At first I was a little puzzled by this. Gradually I have come to understand that what makes the stones seem unique and interesting is the contrast they provide to the other stones around them. If most of the stones on the road are grey and then a dusty red one shows up, it will stand out from the crowd and seem particularly interesting. If all the stones are red, however, it will be just one more of the same. It is the contrast, the difference, the uniqueness within its context that makes the stone seem interesting. Is that how it is with people? Do we value people for their differences within the community or do we like people best when they are just like us? Sometimes it seems we value people despite their unique characteristics, not because of them. The metaphor may be too simplistic of course, since unless you are a geologist, you probably don’t take time to think about or understand the personality of a stone. People on the other hand…well that’s a different story. What if we valued people for their differences? What if we saw in the person who is disabled or “differently-abled” someone who has accomplished so much more than an ordinary person just to get where they are? What if we saw the child or adult with physical characteristics such as Down’s syndrome as someone who is a special gift from God? Would we feel it a privilege to know them? Would we then feel blessed by their treasured gifts, such as the ability to laugh easily and heartily? And what of the person who is a different size or shape and does not fit the modern image of beauty? Would we value them more for thier uniqueness? At the Priesthood Meeting this week, we discussed our diversity of gifts/talents and how the congregation benefits from the different programs lead by ministers passionate about their particular offering. If we all liked doing the same task, e.g. teaching church school class, who would preach, facilitate bible study, book club, organize potlucks, camps, etc.? If we can appreciate our differences in congregational life, why do we have such a hard time appreciating diversity in our larger communities and the world? How boring and stagnant life would be without diversity. Everyone just like me??? I shudder at the thought.